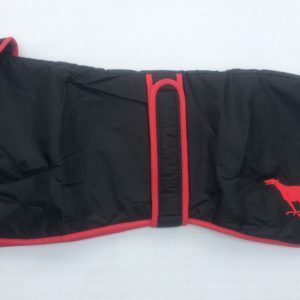 We would like to welcome you to The Greyhound Superstore website. 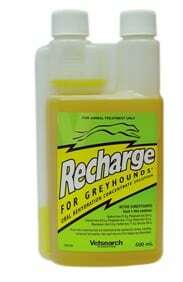 Your one stop shop for your greyhound(s). 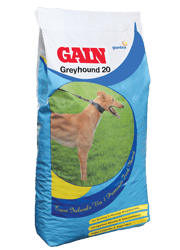 We have a large selection of greyhound pet products available to buy online; from food, supplements and liniments to muzzles, coats and training equipment. 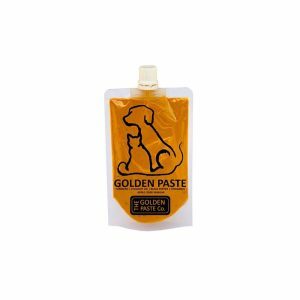 We also have a Facebook page, so make sure you Like us to have access to all the latest information on our available items and be the first to see any promotions we’re running. 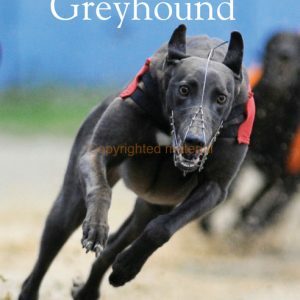 Owning a greyhound is an exciting hobby but the cost can be prohibitive with kennel bills, veterinary costs and re-homing when the greyhound has retired from racing. However being in a syndicate greatly reduces the cost without reducing the fun. 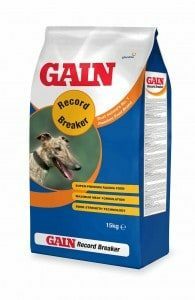 Our philosophy is simple; own a greyhound at an affordable price. 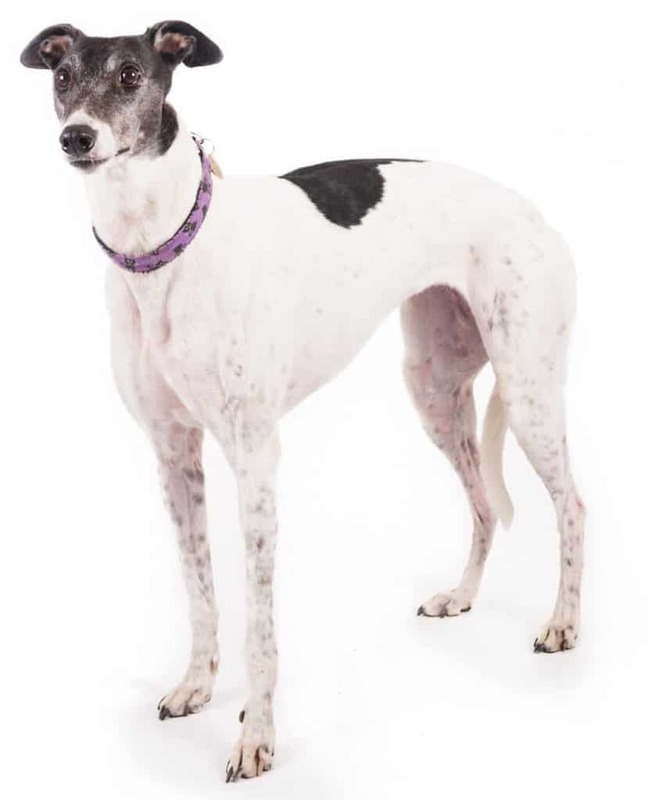 Bucks Greyhound Adoption is a charity with the aim to care for and re-home retired racing dogs. 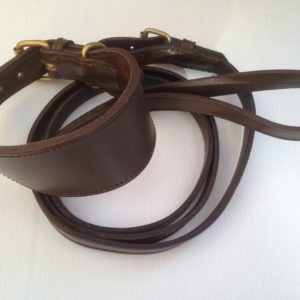 Greyhounds have a calm and loving temperament and make wonderful companions. Find out more about adoption and other ways to help our cause. Your contribution will help us care for and re-home retired greyhounds. 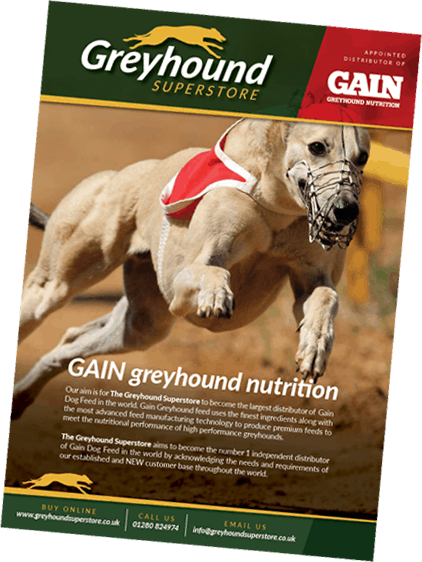 Enter your email address here to gain access to our Gain Greyhound Foods Brochure.